Colors of the nature in spring. 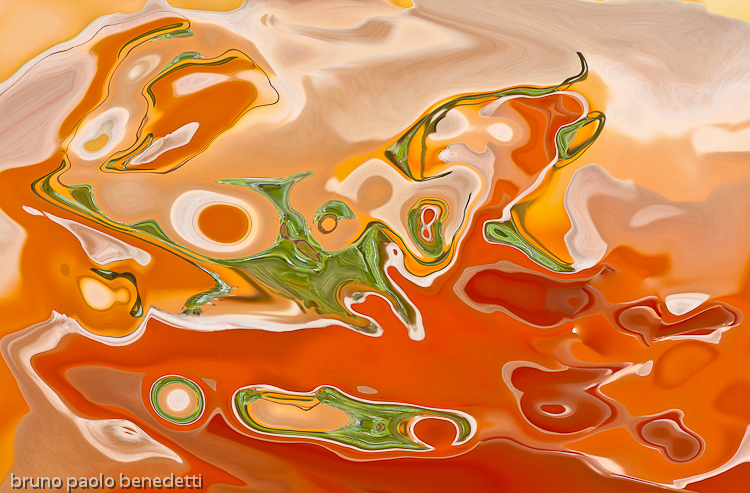 More opaque colors in acquerello texture in this photography based artwork. The black shades become like smoke and dissolve into red. The natural light wihtout sun on the subject makes many shades and less contrasts in this non objective artwork. 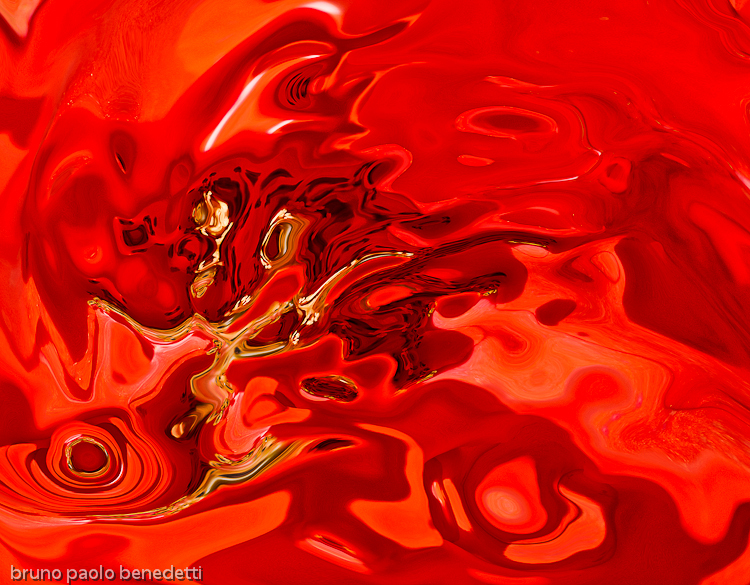 In this photography based artwork we have bright colors in acquerello texture. 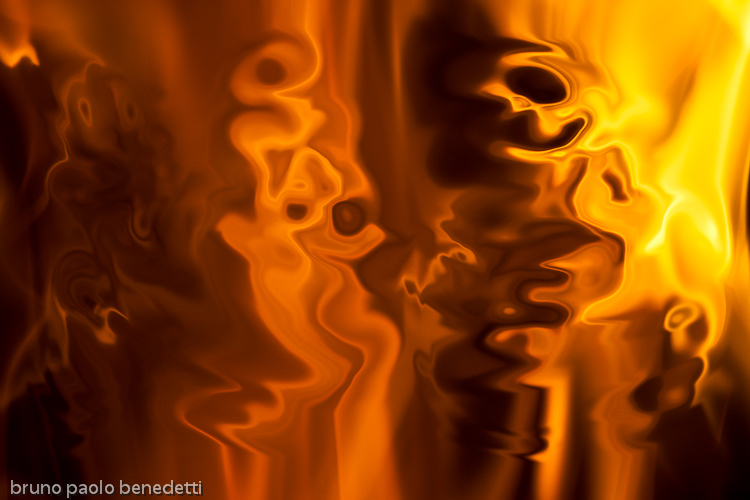 The light and shade effects make the colors gleaming with many shades in light texture. 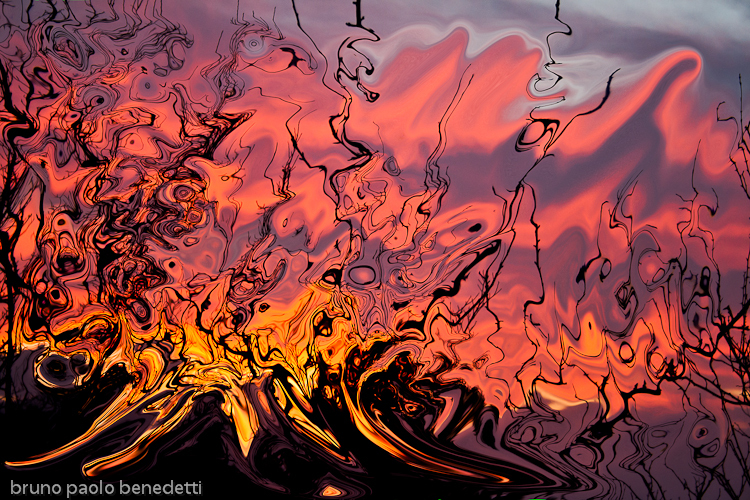 The archetype of the burning sky is the subject of this non objective digital artwork from photography. 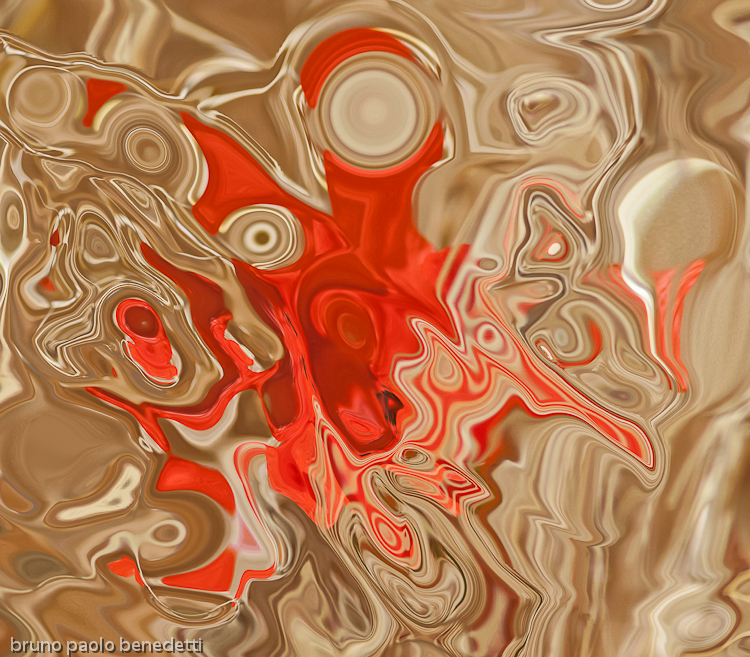 We have a red color dominant with yellow shades and fluid shapes.